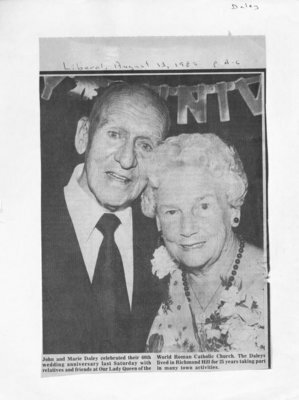 The "Davidson-Endean" volume contains photographs, newspaper clips, family trees, articles, notes related to members of Richmond Hill families, whose personal achievements were remembered and praised by members of the community. The material is arranged alphabetically. The full list of families represented in this volume is available in Personal Name(s) section.